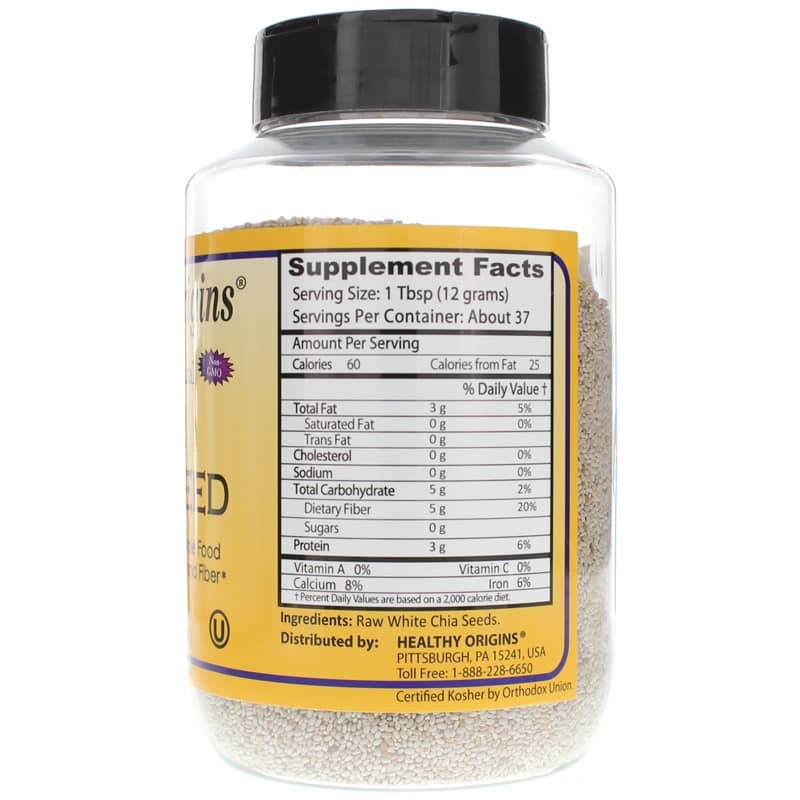 Chia seeds are one of the richest sources of whole food nutrients available. Perfect for us in cooking, they can be added to everything from smoothies and cereals to yogurt, salads, jams, and beverages, as they have little to no taste whether you're eating them ground or whole. 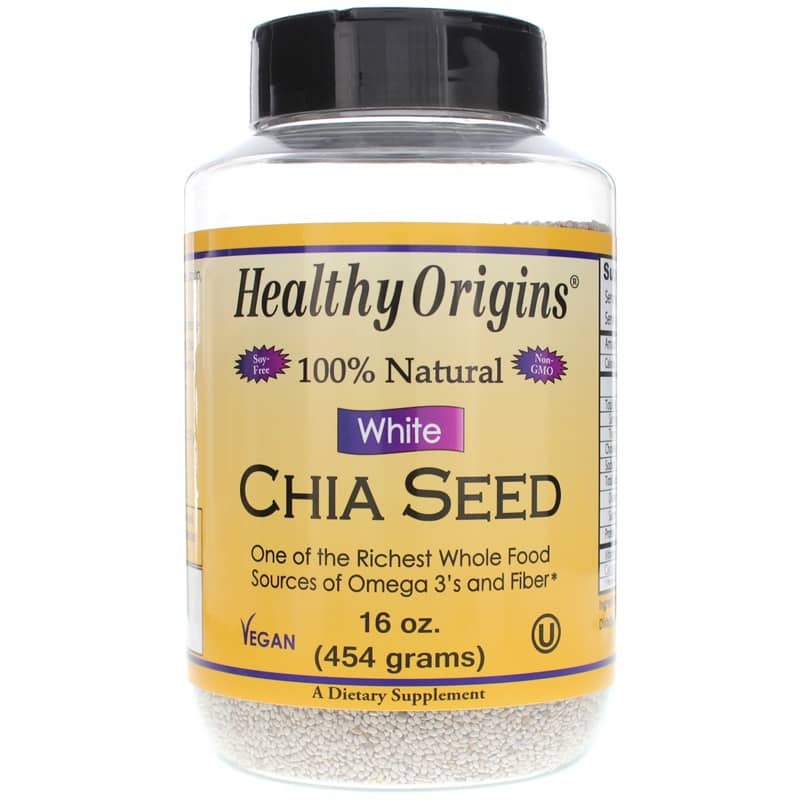 White Chia Seed from Healthy Origins is a truly nutrient-rich way to improve your overall health and wellness. Just one to four tablespoon every day--no matter how you choose to eat them--is all it takes to get yourself back on the road to optimal overall health. 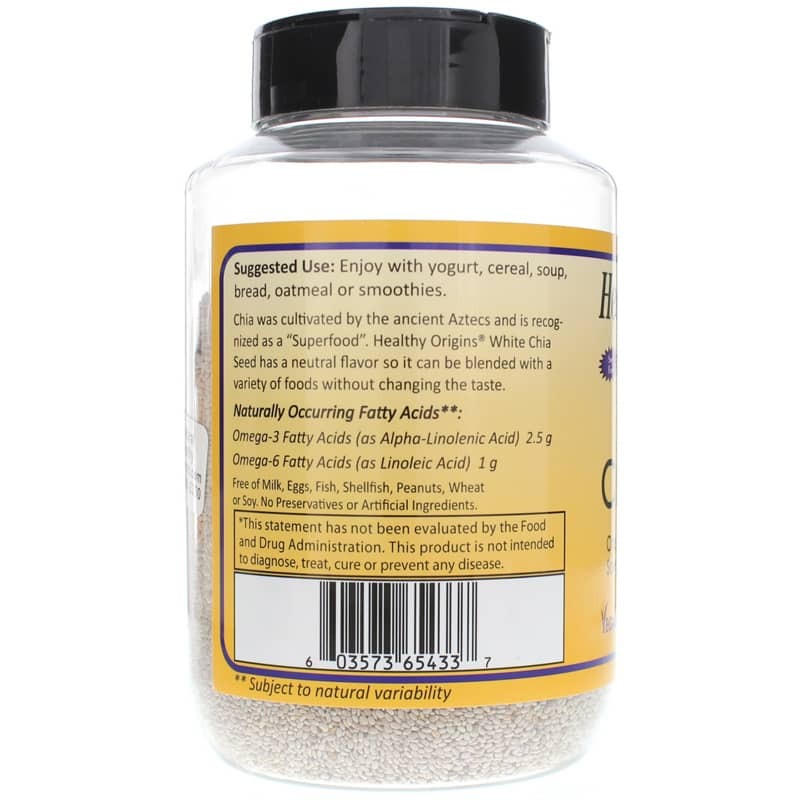 Ingredients: Raw White Chia Seeds. Contains NO: GMOs, milk, eggs, fish, shellfish, peanuts, wheat, soy, preservatives or artificial ingredients. Vegan. Kosher. These tiny seed are amazing and it adds so many wonderful nutrients.....I put these in my morning shake and in my water bottle. I would advise everyone to use these tiny seeds. Purchased White Chia Seed for nutritional value.